Seize your chance to grab the most highly sought after townhome in Orchard Park located in the Lincoln Park School District. This property has all the updates & amenities not found in any surrounding units: large windows on 3 sides, largest SF & outdoor space, yet unparalleled privacy. This is a true suburban-like oasis w/ the BEST city conveniences. 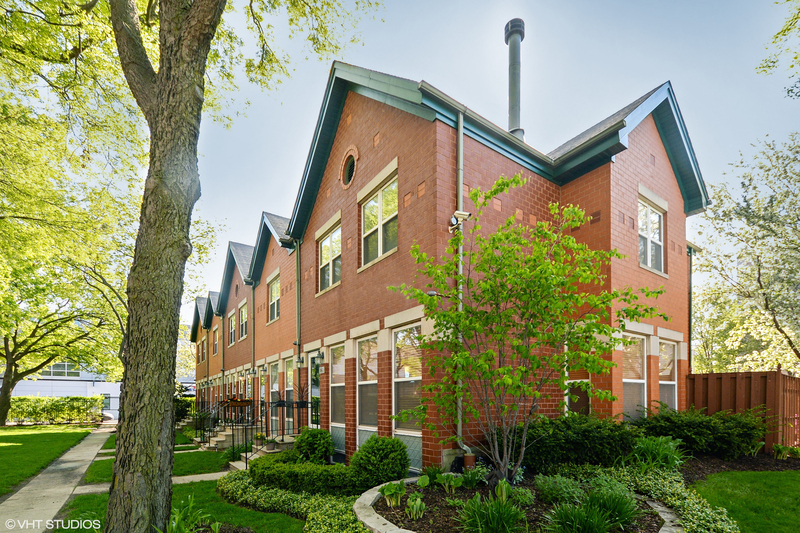 Relax & entertain on your tranquil back terrace/yard, while still being steps away from Clybourn CTA red line stop & NEWCITY- vibrant shopping/dining/entertainment district. This end-unit lives like a single family featuring large open floor plan w/ hdwd flrs thru-out, 3Beds upstairs, beautiful new bathrooms, designer kitchen w/ cherry cabs, SS apls, granite counters & island. Fully finished LL boasts huge Family/Rec Room, 4th BR & Laundry. Excellent storage thru-out. High-end professional landscaping/hardscaping surround the home. Common amenities include guest parking, playground & basketball court. This is a home you'll be proud to own! Property information last modified by seller on Monday, July 09, 2018, 07:37 AM CDT. Information Deemed Reliable But Not Guaranteed. Unauthorized duplication, use, or linkage is prohibited. The information on this web site is for personal, non-commercial use and may not be used for any purpose other than to identify prospective properties consumers may be interested in purchasing. Monthly Payment Calculator results are for illustrative purposes only, not a financing opportunity; calculations assume a 30-year fixed-rate mortgage and do not include closing and other costs. Property Tax on NEW properties is estimated at 1.5% of Listing Price for payment calculation purposes; actual value may be higher or lower.